Yet another Faenza Icons update. 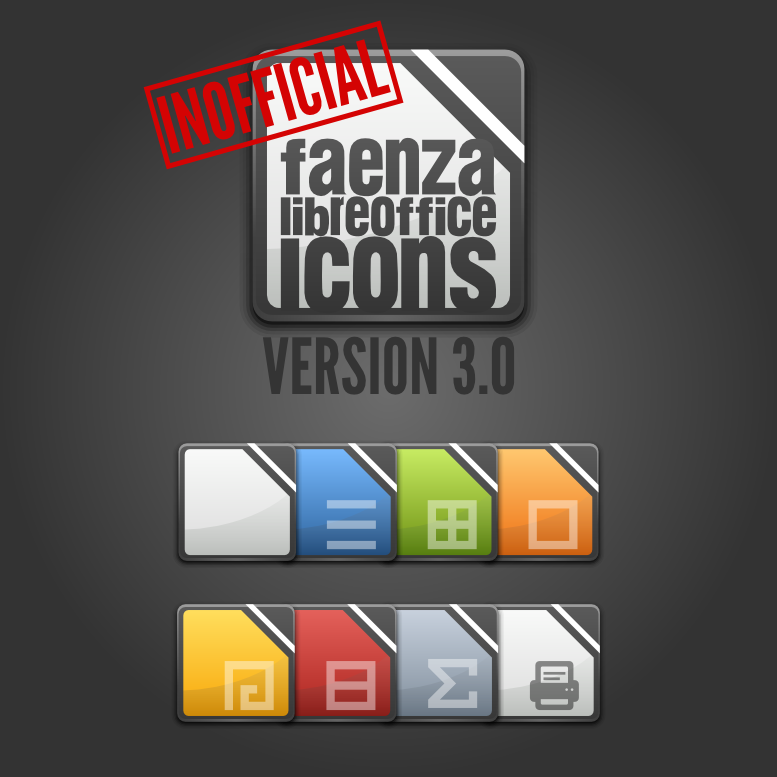 This is not about the official Faenza icons theme, this is about the replacement LibreOffice icons for Faenza icon theme, if you don't like the default set of LibreOffice icons of Faenza official ie. If you like both Faenza and LibreOffice, you might not want to use the OpenOffice icons that comes with default Faenza Icon Theme. Here is good replacement. Follow the steps below to install LibreOffice Faenza Icons in Ubuntu. Make sure that Faenza Icon Theme is installed. Download LibreOffice Faenza Icons for GNOME. Extract the downloaded file and CD into the extracted folder/dierctory. And then, simply run install-icons script. Example is given below. Done. For more info, read the how_to_install file inside the extracted folder. I think the replacement LibreOffice Faenza Icons is better than the official ones. You might also want to check out our awesome collection of top 10 icon themes for Ubuntu.